A tourist visa obtained from a Royal Thai embassy or consulate, preferably in a Western country or your home country, is likely your best visa option if you wish to stay in Thailand for an “extended” period of time but don’t qualify for a Non-immigrant visa of either type. Tourist visas are available as single- and multiple-entry visa. Double-entry visa are no longer available since November 13, 2015. As the visa sticker points out, employment is strictly prohibited with this type of visa, and work permits cannot be applied for. If you qualify for a business visa, a change of the visa type is possible, however. Tourist visa holders initially get a 60-day permission of stay (per entry) starting from the date of arrival in Thailand. This period can be extended for another 30 days at a local Thai immigration office. The extension fee is 1,900 Baht. Documents required for a 30-day extension include a fully-filled extension form (TM. 7), a copy of your passport and a passport picture 4x6cm. 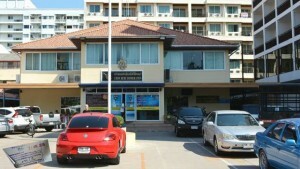 In Pattaya, the local immigration office is situated on Soi 5 off Jomtien Beach Road. Operating hours are weekdays from 8.30 a.m. to 4.30 p.m. The office is closed over the weekend and public holiday periods (including substitution holidays when a holiday falls on a Saturday or Sunday). If you have obtained a multiple-entry visa, each re-entry into the country will give you another 60 days, i.e., as long as your visa remains valid (six months). Where to Apply for a Tourist Visa? Tourist Visa Long-Stayers! Where to go for a Visa Run? Thai tourist visa are available as single- and multiple-entry visa. Nationals of most Western countries can apply for a single-entry visa at any Thai embassy or consulate worldwide. Multiple-entry tourist visas can however be applied for exclusively in your home country or country of residence, and applicants will need to show a bank deposit of at least 200,000 Baht (or the equivalent in their respective currency) in a bank account in their home country. While single-entry tourist visa are easily available at Thai embassies and consulates in the South-East Asian region and there is no official (!) limit to the number of back-to-back visas applicants may apply for, individual consulates may set their own limits and restrict applications to no more than three consecutive tourist visa. If you’ve already got “too many” back-to-back visa stamps from the same consulate in your passport, some may reject your application altogether. It’s therefore generally advisable to obtain a tourist visa at a Thai embassy in your home country or country of residence, or visit a different consulate every now and then. If you’re already in Thailand and still prefer to do a “visa run” to a nearby country in the SEA region, please note that the Thai embassy in Phnom Phen (Cambodia) has a relatively bad reputation, at least for issuing tourist visas. The consulate on Penang (Malaysia), formerly popular with frequent “visa runners”, reportedly restricts tourist visa applications to a maximum of three consecutive visas, after which they’ll place a red stamp in your passport, virtually banning you from future applications. The Thai embassy in Manila on the Philippines is reportedly a total waste of time and to be avoided. Despite a “crackdown” on back-to-back tourist visa applications (announced and increasingly enforced since September 2009) the Thai consulate in Vientiane, Laos, still seems to be one of the more “lenient” consulates in the region, i.e. unless your passport shows “too many” consecutive tourist visa stickers. The most “tourist-friendly” Thai consulate in the region currently seems to be the one in Savannakhet, also in Laos, just across the border from Mukdahan province in Isaan. Not only do they issue tourist visas without any further questions and requirements other than your passport, passport copies, photographs and cash for the visa fee; there are also hardly any “visa runners”, so you won’t have to queue up for hours for your application to be processed. (As of 2015, you will however have to spend a night in Savannakhet and wait one working day for the consulate to issue your visa). Tourist visa fees vary slightly from country to country. The standard fee for a single-entry visa is 1,000 Baht or whatever the equivalent amount may be in your home currency. Please note that the visa fee, as well as official visa requirements, may change without prior notice. In most Western countries, visas should be issued on the day of application. In South-East Asian countries, the application process usually takes one working day but may take up to two working days or more. Documents required for a tourist visa application generally include your passport, a visa application form completely filled out, and a recent photograph. Further official requirements may include an air ticket (return), confirmed hotel reservations, and proof of sufficient financial means to cover your expenses in Thailand. For more details, please contact your local Thai embassy or consulate in advance. Please note that in recent years, Thai embassies and consulates exceedingly in the Southeast Asian region have become increasingly tough on back-to-back 60-day tourist visa applications. In 2009, it was announced that tourist visa applicants would now face stricter “screening measures” to make sure that they are genuine “tourists” and use their tourist visa not as a way to work illegally in Thailand. Applicants with “too many” back-to-back tourist visa stickers or stamps may have a red warning stamp put in their passport and/or have a new application refused. In August 2011, Thai embassies and consulates have also been instructed to be stricter with requirements for tourist visa applications. Thai embassies would now reportedly also require a “confirmed airline ticket with flight numbers and date of entry/exit” when applying for a 60-day tourist visa, “plus confirmed hotel reservations”; otherwise an explanation letter must be provided. As of this writing, it appears however that most consulates in the SEA region do still not require an outbound flight ticket or hotel reservations. To prevent the risk of having your application refused, you’re advised to apply for a tourist visa no more than three times at the same consulate, but visit a different consulate after two or three visa applications. While there’s no official limit to the number of back-to-back tourist visas you may apply for, individual consulates may have their own rules and restrict you to no more than three consecutive applications. On November 13, 2015, the new multiple-entry tourist visa (METV) was launched. The METV, initially (falsely) touted as “six month visa”, is valid for six months in total, i.e., you can enter, exit and re-enter Thailand as often as you like over the six-month validity period of the visa. Each entry into the kingdom will give you a 60-day permission of stay, which can be extended for an additional 30 days at your local immigration office (fee 1,900 Baht). But the launch of the new multiple-entry tourist visa has also had a number of negative side effects, which will primarily affect “long stayers” who do not qualify for a Non-Immigrant visa of either type but are forced to do frequent visa runs in the SEA region. Applying for a multiple-entry tourist visa is unfortunately also a bit more complicated. To start with, applying for this type of this visa is not possible in the South-East Asian region (obviously unless you’re a national of these countries) but exclusively in the applicant’s home country or country of residence. For Westerners who are in Thailand already, this means that they would have to travel back to their home country to obtain an METV; a visa run to a nearby SEA country will unfortunately not do the job. What is more, METV applicants also need to provide a bank statement showing the equivalent of at least 200,000 Baht in a bank account in their home country. In EU member countries, for example, applicants must have a bank deposit of at least 5,000 Euro in their bank account to qualify for an METV. Nationals of certain countries may also have to provide a letter from their employer. Otherwise the same requirements as for single-entry tourist visa apply: a confirmed outbound air ticket, hotel booking confirmation etc. The application fee for a six-month multiple-entry tourist visa is 5,000 Baht or the equivalent amount in your home currency. For details, please contact your nearest Thai embassy or consulate. When your tourist visa has been fully used or has expired, you’ll either have to leave Thailand and obtain a new visa or simply go on a “border run”, i.e. without applying for a new visa. Note: When you use the “visa exemption” scheme to re-enter the Kingdom via an international airport checkpoint, most Western visitors will be granted a 30-day permission of stay upon arrival. Since the changes to visa regulations in November 2008, tourists from many Western countries (excluding Russia and G7 member countries and Russia) will however be granted only a 15-day permission of stay when arriving via a land border. Please also note that from August 12, 2014, tourists and expats will reportedly no longer be able to continuously exit and re-enter the kingdom via a land border crossing or international airport in order to extend their visa-free stay in Thailand (visa exemption). The Nation reported on July 15, 2014: “From August 13, people [who have not obtained a visa prior to their visit to Thailand] will not be able to re-enter the country, regardless of their choice of transport”. In other words: If you haven’t obtained a visa prior to your visit to Thailand but wish to stay longer than just for a holiday, then “border runs” are no longer a viable option to continuously extend your stay in the kingdom. Another obstacle for Thailand would-be long-stayers who don’t legally qualify for a Non-Immigrant visa of either type, is a vague restriction on the number of back-to-back tourist visas you can apply for. 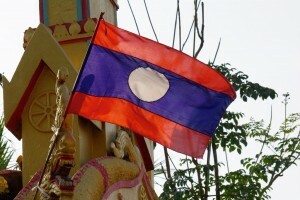 In 2009, ThaiVisa.com reported that in a new “crackdown” on back-to-back tourist visa applications, several Thai embassies and consulates in neighboring Southeast Asian countries were going to get tough on issuing 60-day tourist visas. Applicants would now face “stricter screening measures” to make sure they are actually “tourists” and use the tourist visa not as a way to work in Thailand illegally. Applicants with too many back-to back tourist visa stickers in their passports may have a new application refused, the report said. As it seems, this directive is also being increasingly enforced by many Thai embassies and consulates, at least in the Southeast Asian region. While it remains unclear exactly how many back-to-back tourist visas are “okay” – and an immigration official in Chiang Mai was quoted as saying on August 20, 2014 that “there is no limit to the number of tourist visas you can apply for, nor is there a minimum time limit between each one” – it’s obvious that if you wish to stay in Thailand long-term, back-to-back tourist visas are no longer the best option. In any case, you’re advised to apply for a tourist visa no more than three times at the same consulate, but visit a different consulate after two or three visa applications. While there’s no official limit to the number of back-to-back tourist visas you may apply for; individual consulates may have their own rules and restrict you to no more than three consecutive applications. In August 2011, Thai embassies and consulates abroad have also been instructed to be stricter with requirements for visa applications. Thai embassies would now reportedly also require a “confirmed airline ticket with flight numbers and date of entry/exit” when applying for a 60-day tourist visa, “plus confirmed hotel reservations”; otherwise some kind of explanation letter must be provided. As of this writing (2016), it appears however that most consulates in the SEA region do not require an outbound flight ticket or hotel reservations. The biggest drawback though is obviously the launch of the new multiple-entry tourist visa (METV) which can be applied for only in the applicant’s home country. As a result, the formerly popular double-entry tourist visa has been abolished altogether. With only single-entry visa available now for foreign applicants in the SEA region – a restriction that automatically necessitates more frequent visa runs – chances that back-to-back applicants may sooner or later get rejected have obviously risen considerably. If you’re traveling with multiple-entry tourist visa, a one-day “visa run” to the Cambodian border, or any other land border checkpoint, is fully sufficient to renew your permission of stay for another 60 days, i.e. provided your visa is still valid. You will not have to apply for a new visa as long as your existing visa remains valid and has not been fully used. Please note that all entries must be made within the time frame determined by your visa (visa validity). This time frame starts from the date of issuance of your visa, not the date of your first entry into Thailand. All re-entries must then be made before your visa expires. Do not mix up the total validity of your visa and the permitted duration of stay (per entry) which is only 60 days each time. Even if you’re traveling with a multiple-entry tourist visa, you’ll still have to leave the country every 60 days (or 90 days if extended) in order to renew your permission of stay. Multiple-entry tourist visa are valid for six months, starting from the date of issuance. Do always make sure you make your last entry before the visa has expired! Applying for a tourist visa is usually the easiest in your home country or country of residence. While there is no official rule (!) restricting the number of back-to-back visits to Thailand when you’re traveling on “simple” tourist visas, it’s unclear how many consecutive visas may be issued from individual consulates in South-East Asia. In any case, you’re advised to apply for a tourist visa no more than three consecutive times at the same consulate, but visit a different consulate after two or three applications. At the moment, there seem to be only little problems with obtaining back-to-back tourist visas at the Thai consulate in Vientiane (Lao PDR). Applicants with “too many” consecutive tourist visa stickers in their passports may, however, have a red warning stamp put on their latest visa, indicating that future applications may not be accepted. As a rough rule of thumb, three consecutive tourist visas are “okay” in Vientiane; after that you’re at risk of having a new application rejected and better try your luck at another consulate. The most “tourist-friendly” Thai consulate in the region currently seems to be the one in Savannakhet, also in Laos, just across the border from Mukdahan province in Isaan. Not only do they issue tourist visas without any further questions and requirements other than your passport, passport copies, photographs and cash; there are also hardly any “visa runners”, so you won’t have to queue up for hours for your application to be processed. (As of 2015, you will however have to spend a night in Savannakhet and wait one working day for the consulate to issue your visa). The Thai consulate on Penang (Malaysia) reportedly also restricts tourist visa applicants to three consecutive single-entry visas only. If the consulate decides to restrict your visits, they will place a red stamp on your last visa stating that future applications will get refused. As of February 2008, the Thai consulate in Georgetown will reportedly also only issue tourist visas to applicants who can produce a fully paid onward air ticket, departing again from Thailand to an international destination, not within Southeast Asia. 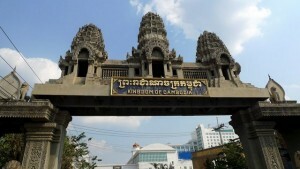 Due to their bad reputation, the embassies in Phnom Penh (Cambodia) and in Manila (Philippines) should be avoided. While chances in Phnom Penh may be 50/50, Manila is reportedly a total waste of time. On the other hand, the embassies in Kuala Lumpur (Malaysia) and Singapore appear to have a relatively good reputation yet imply higher travel costs. To stay up-to-date with the latest visa regulations and see how strictly they are enforced at certain embassies and consulates in the region, it’s always a good idea to have a look around some threads on the popular ThaiVisa.com forum before going on a “visa run” to a certain country. As with all visa regulations and rules, there are always noteworthy exceptions; and as strict as some rules may appear, it’s always a separate question how strictly (or laxly) they’re being enforced by individual embassy officials. Entered day 17 of may in Thailand. Got visa until 16th June. Left on 19 may to Myanmar, then to Siem Reap in Cambodia. Reentered Thailand day 28 may by land and got new visa exemption until 11 June. I have the return flight on the 15 June. Which date is valid? The 16 June or 11 June? If it is 11 June how can I stay in Thailand until 15 June when I have the return flight? The last date is valid: You have to leave Thailand by June 11. You can either get an extension at a local immigration office at 1,900 Baht or just pay the overstay fine at the airport (500 Baht/day). To be on the safe side, I would recommend you to extend your permission of stay at the immigration bureau in the province where you’re staying. Hello sir, I have single entry visa and return ticket from Bangkok, can get any permit for Laos and Cambodia traveling. Not quite sure if I understand your question correctly. But yes, you should be able to get a visa on arrival in Laos or Cambodia and, if you wish, a fresh visa for Thailand there. Hi there, great site and great tips so thank you! If I get a triple entry visa and do a visa run in Laos, does it take more than a day in Laos or can I arrive and leave the same day? Hi James. If your visa is still valid (check for how long your visa is valid in total, i.e. within how many months you have to use your three entries – which may vary from consulate to consulate) and you’ve got another entry left you can just go in/out. No need to stay in Laos overnight. Good day to you Sir, since my work permit and non-B visa will expire by the end of this month (30th September) Is it possible to apply for a Single entry Tourist Visa in Savannakhet? My wife is working here in Thailand, she is employed till end of March 2016 and I have a couple of relatives and friends working also in Thailand that could support me for the time being that I’m looking for another job. If ever that is okay(applying for a tourist visa) would you recommend getting a double entry instead? Yes, you can easily get a tourist visa in Savannakhet, single- as well as double-entry. Depending on how long it may take you to get a new job, a double-entry visa might be your best option. By the way, is your wife Thai or foreign? If she’s a foreigner and holds a non-immigrant “B” visa you might also be able to get a non-immigrant “O” dependency visa (multiple entry)? Thanks for the reply, both of us are foreigners, she’s got non-B visa. I’ll share my experience after my trip at the end of this month. Good luck to me. Hello again, just got my single entry Tourist Visa from Laos(Savannakhet) I was told there that next time I need a Bank statement. Proof of sufficient funds is an official requirement for a tourist visa. I never heard of that being enforced though and thought (if ever) they would rather see cash money? Also, did they ask for a bank statement from a Thai account or a foreign account? They should know that “tourists” can’t actually open bank accounts in Thailand, so if they wanted a Thai bank statement for a tourist visa that would be an outright stupid request. I’ve also heard that the consulate in Savannakhet has become very busy recently? Could you confirm this? I was there myself last year and again six months ago and was virtually the only person at the consulate. They did not specify which type of account, they said bank statement, guess I have to produce any available(bank account) I have access to next time I go there. The volume of people that went there during my trip is just normal, around 30 -40 persons. It’s kinda odd you were alone there on your trip. I also noticed they will attend to the tourist(not Laos citizens) first so their operations will be smooth and faster and once every foreigner is done, then they will handle the Laotian applicants. Hi there, I have had one double entry visa and two single entrys….i was told at georgetown im not allowed any more. I have since returned back to the UK but was wondering if I was able to get another tourist visa? Sure you can get another tourist visa in the UK. I’m just curious why they rejected you? Were these three back-to-back tourist visas all from Penang? From what I know, some Thai consulates in the SEA region, such as the ones in Vientiane/Laos and Georgetown, restrict you to three consecutive visa applications, after which you’re obviously still free to visit another consulate in another country in the region. I mean, instead of going back to the UK a visa run to Laos, for example, might have done the job as well? I have to leave the country on 29 November. My question is if I want to come back what is the best thing to do next? Do I have to spend x amount of time out of Thailand before I can be admitted again into Thailand either on a 30 day visa on arrival stamp or on a pre issued single or double entry tourist visa from a consulate somewhere in asia ? Regardless of whether you go back to the UK at the end of this month or just go on a visa run to a Laos, for example, you should have no problem getting another tourist visa. As it seems though, starting from November 13, double-entry visa will no longer be available, only single-entry (which will also be available in Laos) and the new multiple-entry tourist visa, which you must apply for in your home country. It remains to be seen how many back-to-back single-entry tourist visas Farangs can apply for in the SEA region in the future? There is NO rule re: an x amount of time foreigners have to spend outside the country but I would think that in the future consulates may increasingly insist that applicants provide some kind of proof of funds after one or two applications in Laos or elsewhere in the region, possibly including a bank statement from a foreign bank – which might make life considerably harder for many under-50 long-stayers? As for 30-day visa exemption, this has never been a viable option for staying in Thailand for an extended period of time. hello. can I get in the thai consulate from Penang a single entry tourist visa in the same day? No, you will have to wait one working day, so if you apply on a Monday you’ll get your visa Tuesday afternoon. According to info posted on their website, visa application hours are 9.00 – 11.30 a.m. You can pick up your visa the following day from 14.00 – 16.00 p.m.
You should have no problem getting a new tourist visa in Laos. The red stamp only applies to the consulate on Penang. I couldn’t recommend you a particular visa run agency though because I’ve always gone to Vientiane by my own account, usually by train. You can find a detailed description how to get to Vientiane etc. also on this website. My last trip there was just a month ago so the info is all up-to-date. Good luck! No problems reported in Vientiane yet, so don’t worry. The red stamp warning refers to your three back-to-back tourist visa from Penang but has no impact on visas issued in Vientiane. On a side note, being a Filippina, wouldn’t visa application be much easier in Manila? Its hard to get visa in manila.most of my friends dnt wnt to go bck there to get visa. Thank you 🙂 coz i call one of the visa run going to laos but she told me when i have red stamp i cant go there for a tvisa tht makes me so worried. I am going to Thailand for a couple of weeks, then to Cambodia and Vietnam, then back to Thailand for a couple of weeks. What’s my best option visa wise? If you’ll stay in Thailand for less than 30 days each time you won’t need a visa at all. You’ll get 30 days (visa exemption) upon arrival at the airport and then again 15 or 30 days (depending on your nationality) when you return to Thailand via a land border. If you fly back into Thailand you’ll get 30 days again anyway. Alternatively try the new multiple-entry tourist visa which is however a bit difficult to apply for. Hi sir, is it necessary to show financial means proof to enter thailand? I am going to bangkok with my friend for tourism and i am a minor so should i put any documents? They usually don’t ask to see money but being a minor it might be a good idea to have at least 10k Baht in cash on you, just in case. I want to apply for a tourist visa but the website of thai embassy in my country ( France ) say there is a delay of 3 months since you left Thailand to observe, in order to get a new 1 entry visa. I had before an ED visa and left Thailand sooner this month. Do you know anything about that rule? No, never heard about a rule like that. If you’ve previously had an ED visa you shouldn’t have a problem anyway I guess? 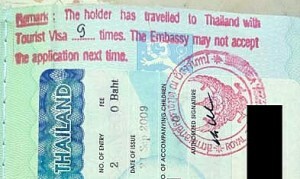 I am currently staying in Thailand on a 60-day tourist visa valid until Nov 6. I wish to extend the visa in a way that it will ‘safely’ cover my departure date which is on Dec 4. I am wondering if I extend, will they extend from the date I applied or from the date my visa expires? Hi bro i want to come thailand for 1 month…. i was come thailand 1 month ago for 5 days holidays tour package…. can i apply again for tour in pattaya thailand…. Shouldn’t be a problem. Whether you need a visa at all would depend on your nationality? Hi ,I’m in Thailand Pattaya at the moment with a 2 months visa, soon i will go to Thailand emigration and extend my visa for another month … can u please tell me what i need to do to extend my visa for another 3 months while i’m here ???? Any chance i can come and see u in Person while I’m here ?? ?